This is an excellent liver and blood cleaner used for acne, abscesses, eczema, psoriasis, scalp irritations, rashes, insect bites, and most skin eruptions, by helping the liver to increase blood filtration and maintain proper blood pH balances. It also helps by controlling chronic constipation problems. This is an excellent liver and blood cleaner used for acne, abscesses, eczema, psoriasis, scalp, irritations, rashes, insect bites, and most skin eruptions by helping the liver to increase blood filtration and maintain proper blood pH balances. It also helps by controlling chronic constipation problems. Shake well. Adults: Take 1.5 teaspoons once daily or as directed by your health-care practitioner. 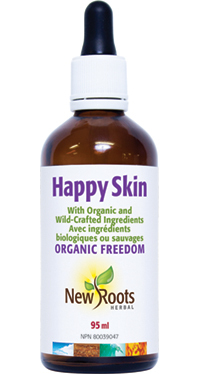 Other ingredients: Certified organic alcohol (25%), purified water, and vegetable glycerine.